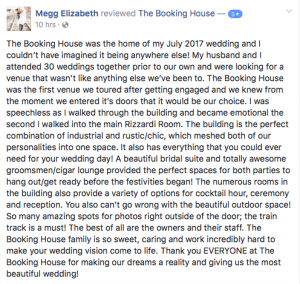 5-Star review from one of our sweet brides! © 2019 The Booking House. All Rights Reserved.